Leak testing is a non-destructive method to verify the presence of a leak in a component or device. It is implemented as a control methodology for monitoring production process and product quality control. Leak tests are used to find out possible leaks due to non-suitable material (porosity, blowholes, cracks), or in the machining process to find out machining errors or defective parts, and ultimately in assembly, to find out missing or defective gaskets, wrong positioning or assembly. The presence of a leakage could jeopardize the correct functioning of the component, device or its life span, and can also be potentially dangerous for the environment and the safety of its user. There are different methods to verify the presence of a leakage, from the traditional immersion of the component in a water tank, to the pressure decay detection in pressurized parts, up to the use of tracing gas. A modern manufacturing line is designed to deliver a final product with high reliability and ever increasing performance. 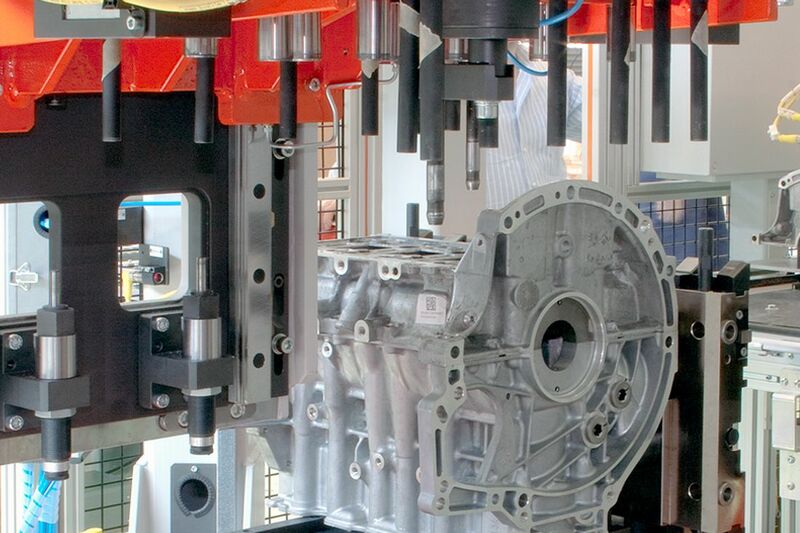 Assembly Machines ensure high performance in terms of cycle time and process stability. They complete the product during manufacturing. We produce a full range of assembly machines to fulfil modern requirements for the production of cylinder heads, cylinder blocks and other mechanical components. These machines range from the assembly of the bearing caps to the fitting of the cup plus or other means to seal some conducts in the part. Other assembly machines are used to to fit the valve guide and seat in the right position in the cylinder head.